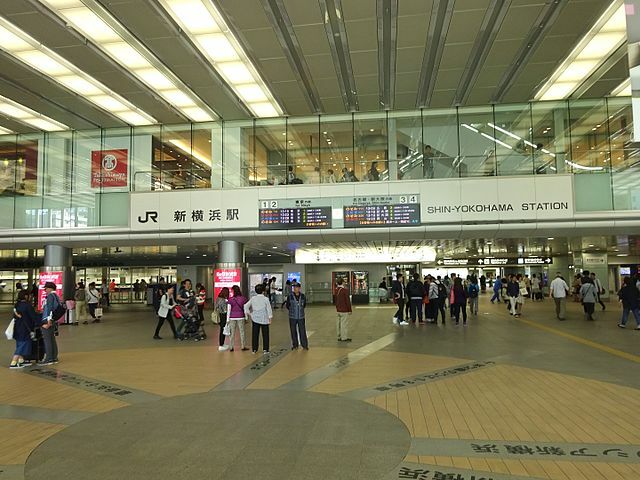 Yokohama city has two major railway stations: Yokohama Station and Shin-Yokohama Station "New Yokohama Station". Shin-Yokohama Station is located outside of the city center but the two stations are connected via the JR Yokohama Line "15 minutes" and the Yokohama Subway Blue Line "10 minutes". ​The station consists of an island platform at ground level serving the Yokohama Line, with two elevated island platforms for the Shinkansen tracks overhead. JR Central's Tokaido Shinkansen passes through Shin-Yokohama Station and not Yokohama Station. 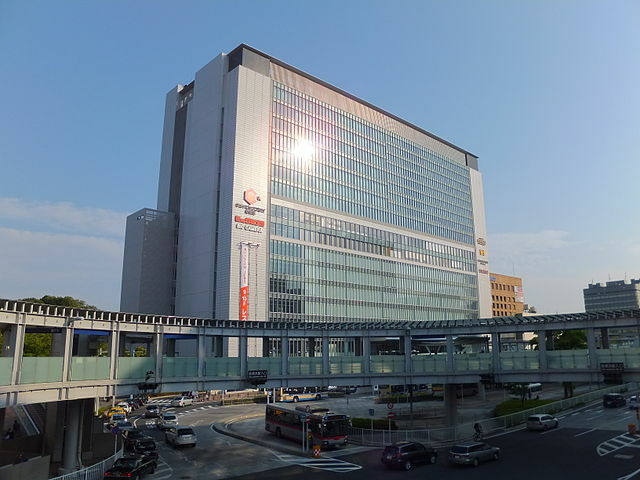 The Station Building houses many stores including Bic Camera "Consumer Electronics Retailer Chain", UNI QLO "Casual Wear", Gift Shops and considerable number of Restaurants and Cafes which mainly are located on 9th and 10th floors. Visit Cubic Plaza website for more information. For detailed route information, pick up a copy of the helpful "Yokohama Visitors Guide" or other leaflets from the Tourists Information Center on the second floor. 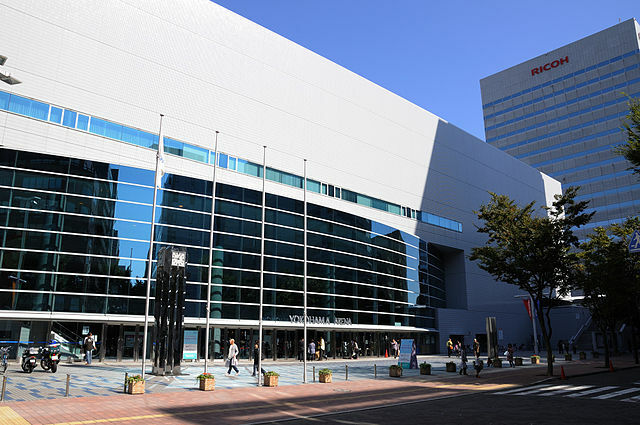 In the vicinity of the station you will find the Yokohama Arena which is a huge multipurpose indoor site with the capacity of 17,000 seats. As one of the largest concert venues in the Kanto region, it is a frequent location for artists to end their tours. Computerized actuators are set to recon-figure the arena’s auditoriums for conferences, conventions, exhibitions, and other events. It is about 5 minutes walk from Shin-Yokohama Station. 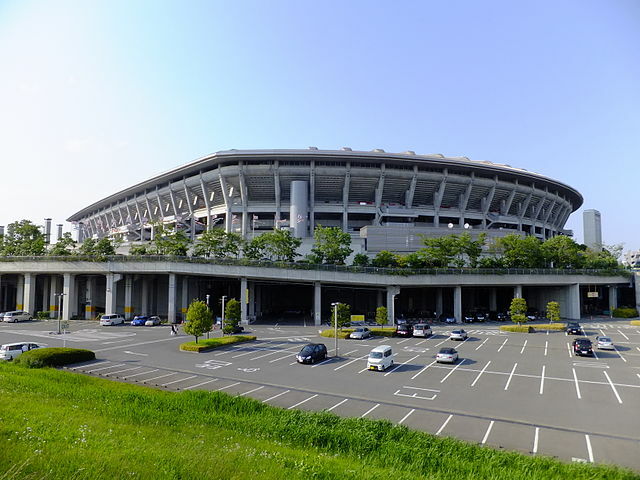 International Stadium Yokohama also known as Nissan Stadium is a sports venue inaugurated in March 1998. With over 72,000 seats it has the highest seating capacity of any stadium in Japan. The stadium is one of the planned football venues for the 2020 Summer Olympics. It has also been selected as one of the venues for 2019 Rugby World Cup and will also host the final of the tournament. It is about 15 minutes walk from Shin-Yokohama Station. 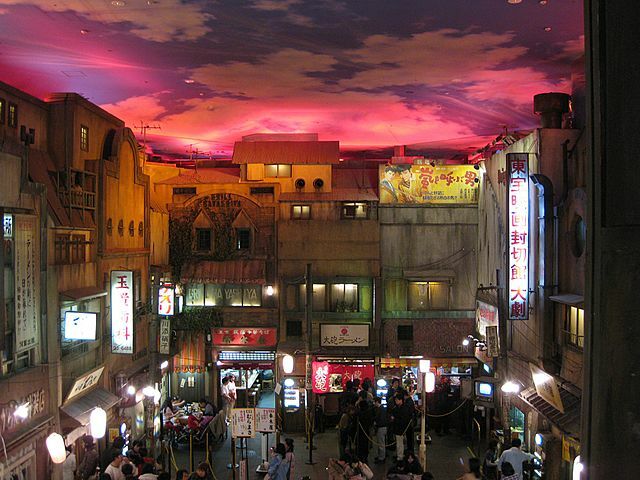 Shin-Yokohama Raumen Museum "Shin-Yokohama Raumen Hakubutsukan" is a food amusement park, a paradise for noodle lovers. The museum opened on March 3, 1994, and is devoted to the Japanese Raumen. 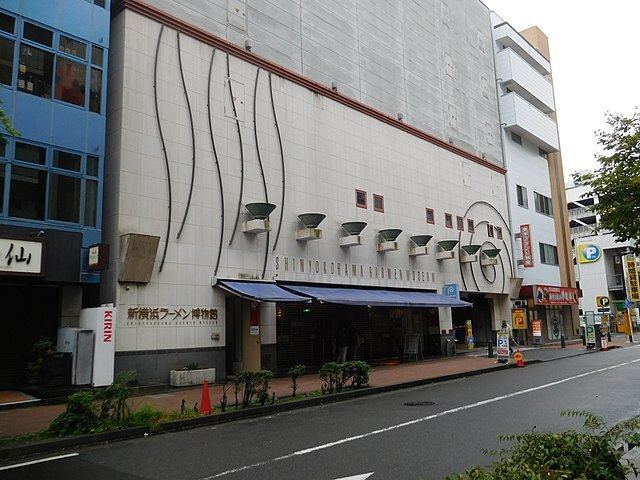 Within the museum are branches of famous raumen restaurants from Kyushu to Hokkaido. In a gallery on the first floor, Raumen Museum presents the history of raumen in Japan and also there is a souvenir shop selling raumen bowls, cooking utilities and customizable instant-raumen packages. 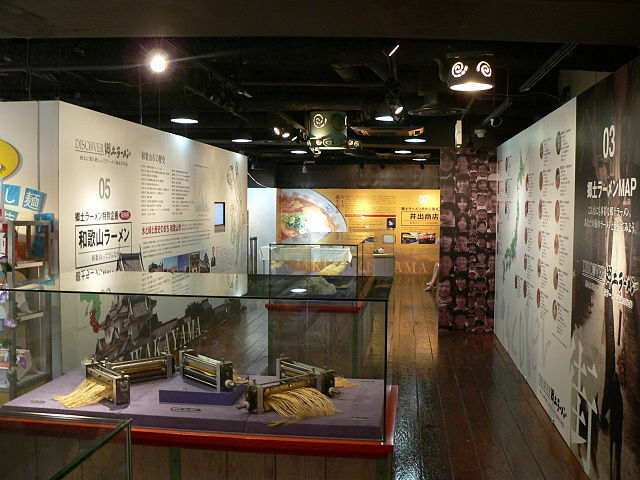 On the two basement floors, visitors can explore a replica of some streets and houses of the downtown of Tokyo, around the year 1958; the year Instant Noodles were invented. 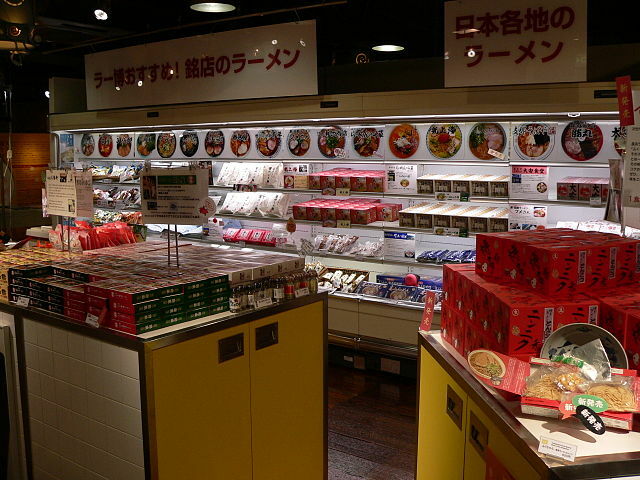 ​There have been more and more visitors from countries around the world traveling to Japan to experience Japanese food. In recent years the request for the Muslim Friendly and Vegetarian menus have been growing and to answer these needs, since July 1, 2013 "Shin-Yokohama Raumen Museum" has been offering a special menu, "Global Standard Raumen", for Muslim and vegetarian visitors. For visitors who wish to try multiple Raumen dishes, every store offers "Mini Raumen", a small portion of the feature dish. ​Tickets for the meals can be purchased at the vending machines in front of each store before entering. ​Along with restaurants, there is an old-style bar called 35 Knots, where visitors can smoke, and a few other places to buy traditional snacks and food. From Yokohama Station - take Yokohama City Subway to Shin-Yokohama Station "takes about 15 minutes". Leave the station from Exit 8 and walk to Shin-Yokohama Ramen Museum "about 5 minutes". From Tokyo Station - take JR Tokaido Line to Yokohama Station "takes about 35 minutes", then take Yokohama City Subway to Shin-Yokohama Station "about 15 minutes". From Shibuya Station - take Tokyu Toyoko Line to Kikuna Station "takes about 25 minutes", then take JR Yokohama Line to Shin-Yokohama Station "about 3 minutes".